The 2018 Daytona 500 Nascar Cup Series race takes place this Sunday, February 18th at the Daytona International Speedway. There are no strong favorites for this race and many say it is wide open to anyone. However, the odds are the odds and fans need to bet and play fantasy Nascar, so we have scoured the field and come up with some strong sleeper picks and longshots for the Daytona 500 race. 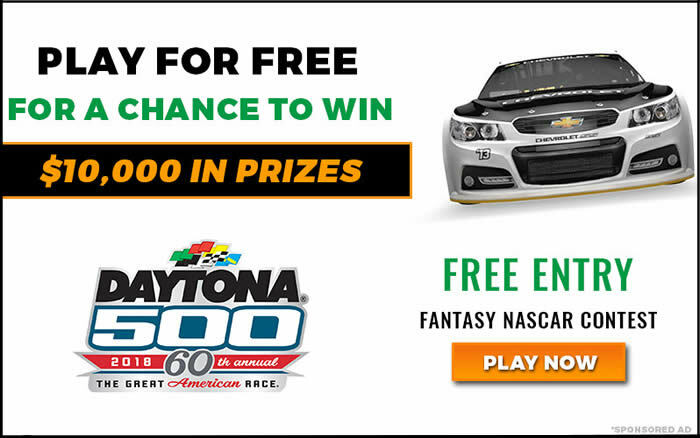 Before you commit to your own picks, check out the list below and see if we can convince you to change your mind and use some of our Daytona underdogs to fill in your fantasy lineups in your Nascar pool or in the FREE $10,000 NASCAR LEAGUE this Sunday at DraftKings (see details below).